Nenets elder near our base camp. 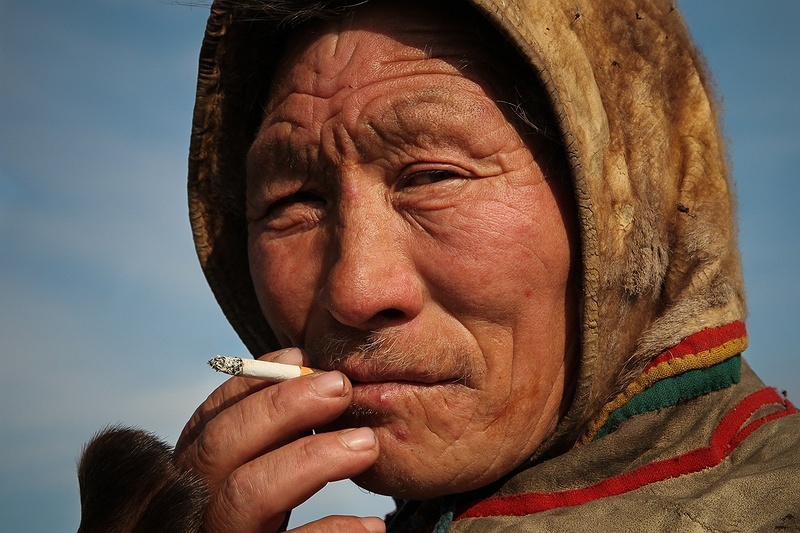 The nomadic Nenet people have retained their traditional way of life for over a thousand years, but since the 1970s this remote place in Northwest Russia has roused economical interest. The peninsula holds one of the biggest gas reserves on the planet.